This is the post I have been waiting to share with you the last few weeks. I don’t even know where to begin, but to say that I am so excited, grateful, thankful, and proud to be able to introduce to you someone who has made such a huge impact on my life. When I started my yoga journey two years ago I blindly went into it not really knowing what I was looking for. That is until I happened upon DoYogaWithMe.com and found Fiji McAlpine’s videos. I soon fell in love with her classes, the way she instructed, the words she said, the beauty she brought to the art form and expression of yoga. The first video of Fiji’s that I tried was her Advanced Backbending from the Base class. It was absolutely stunning! This is also the practice that inspired this post of mine! Another one of her videos, Power and Precision, is one of my all time favorites as well. It took me awhile to actually build up the strength and courage to complete this practice in the beginning, but now has become one that always leaves me feeling strong, beautiful, and confident. Through all of Fiji’s videos I have learned so much about myself and my practice. I have gained so much confidence and self-love. She really is the reason why I fell so in love with yoga and the beauty and power it has. She taught me how to actually focus on my breathing and allow my self to let go and fully accept Savasana at the end of my practice. For my college Common App essay I even wrote about my yoga journey and Fiji’s impact on it. I hope some day I will be able to actually take a live class with her and meet the woman who inspires me everyday! When I say her on Facebook I ended up sending her a friend request and to my surprise she accepted it! I had to then message her and tell her who I was and just how awesome I think she is. I then asked her if should would like to come on the blog and do an interview so we all could get to know her better. She accepted and is now here to tell us all about herself and her yoga journey! I hope you all enjoy this and are as excited as me to learn more about a truly inspiring yogi. Fiji: “I just turned 33, which is great because 3 is my lucky number, as it turns out this year has already been a great one! I recently married my soul mate and we are expecting our first child, a baby girl, this May. 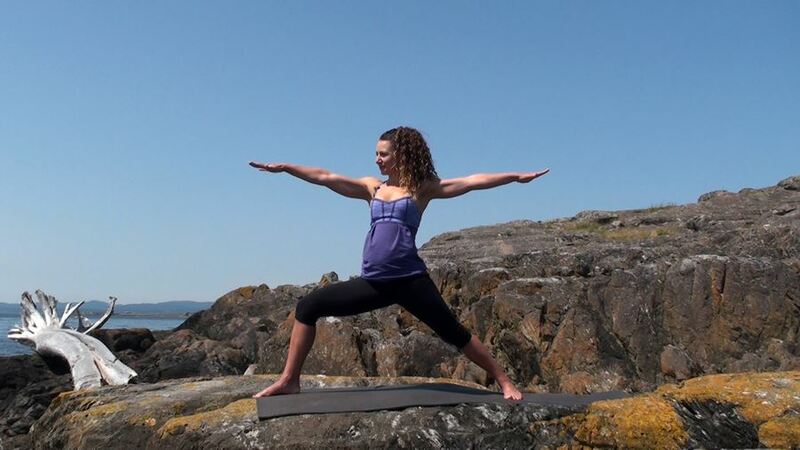 I am a yoga teacher in a few great studios here in Victoria, BC and teach to students around the world via the videos posted on doyogawithme.com. In addition to yoga, I am Vice Principal at a private school called Eaton Arrowsmith School that offers a program to help students with cognitive learning difficulties through neuroplaticity. R: “What is your favorite pose? Your least? Thank you so much Fiji for taking the time to chat with me! You are truly a beautiful role model, yogi, and inspiration! And I hope you all enjoyed reading what she had to say. Fiji has her official Yoga Alliance certification as well as well as he recently added prenatal certification. 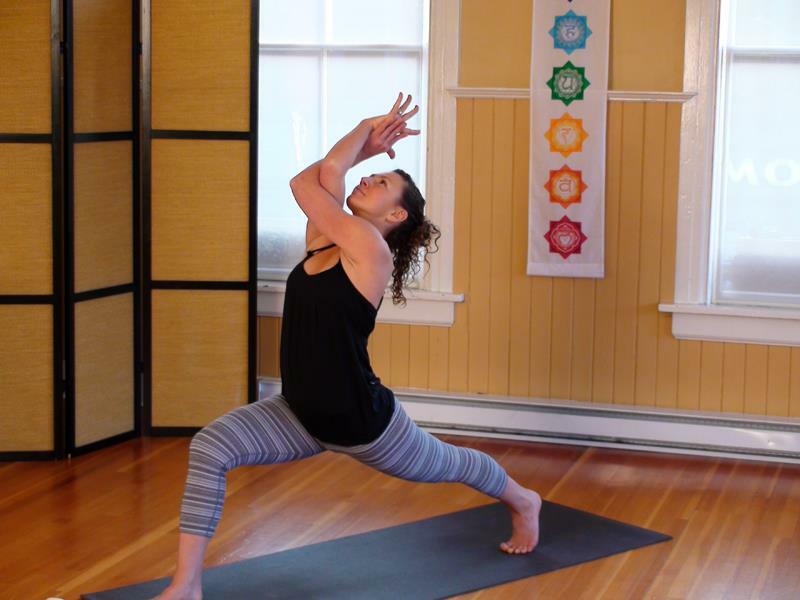 Her practice and teaching focuses on Vinyasa and Power yoga. You can find her teaching at these studios. Also for all of you soon-to-be mamas out there, whether you already do yoga or not, you have to give Fiji’s most recent Prenatal Power Flow video a try! She just released it last week so check it out! You can find Fiji’s other videos and pose breakdowns here and also stay in touch on her official website! Who is your yoga inspiration? Nice interview! Fiji inspires me in my yoga practice as well. I’ve noticed improvements since I started practicing more consistently. I also “found” her by the do yoga with me videos. I’m sure I’ll be doing yoga for years. 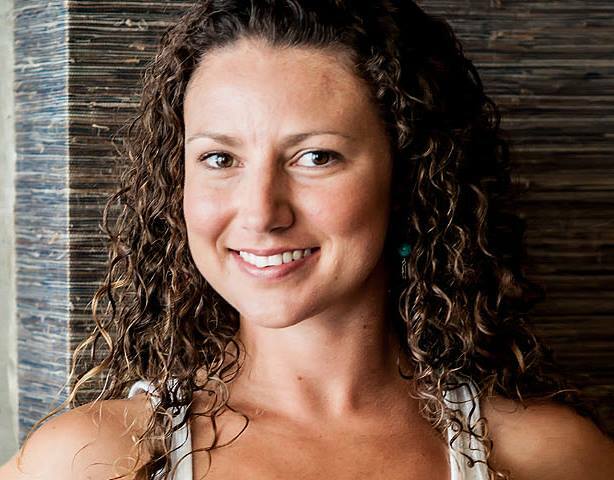 She is one amazing yogi and simply beautiful and inspiring! Loved the interview! I will definitely check out the website, as I am trying to start practicing yoga and making a commitment to it! Hopefully you two will be able to meet someday! Dropping by from SITS Sharefest! You will love her videos! She has beginner stuff to advanced so I know you will find something you love. Her practices are truly magic! I have a few yogaspirations including Edmond Magny and Dave Wilson!!! They are amazing and awesome! This interview was awesome! I seriously need to get into yoga more. She sounds like an awesome teacher so I’ll have to check her out! what an inspiration! and i love how she started yoga, true healing! It is! Yoga is so powerful, no one can deny that! Fiji is one of my favorite teachers thanks to doyogawithme.com ! I aspire to speak and cue just like her. Very gifted teacher!!!! I choose Fiji over the more famous celebrity yoga teachers. 🙂 love her way of teaching. She really knows how to make a connection with her students (even through the screen!) Her cueing is great and she has made it so easy to learn and grow! I really enjoyed reading this interview – well done Rebecca! As Fiji’s best friend and husband, I find myself in constant awe of Fiji’s undeniable spirit and contagious enthusiasm for life in a way that I find more charming and intoxicating every day since I fell in love with her 14 years ago. If you find her online classes as compelling and wonderful as most people do, then you owe it to yourself to take advantage of an in-person class with Fiji if the opportunity ever presents itself to you! The awe and love that she inspires in-person is seasoned with dashes of impromptu insights and delightful humor that makes for a truly humbling and enjoyable experience. I find it remarkable that she has so many fans, and is so championed by yogis worldwide based solely on her videos. After spending an afternoon in practice with her in a studio, I think most will find an appreciation for the online classes as a fantastic medium to maintain purpose and consistency, but will know the truth in that the video medium only catches a shade of the brilliance of her presence. The students that practice with Fiji love her without reservation, and it is because of her gentle spirit and generous nature that she conjures trust and honest introspection from her students. I couldn’t tell you how many times I’ve seen her students embrace her emotionally after classes; it’s a raw testament to the power of the internal honesty and release that she endeavors to provoke and nurture. She loves receiving feedback from all yogis, and I see how she becomes all the more radiant as she is able to improve her own practice by helping others find the strength of conviction to follow their own paths, internally and externally, in the pursuit of growth and discovery! Embrace the past, the present, the future, and the path. But most importantly, embrace yourself! Thank you so much for commenting Brad! Believe me, if I lived closer (not here in New Jersey, US!) I would take classes with Fiji in a heart-beat. I really do hope one day I get to meet her. It would be one of the greatest experiences to actually practice with someone I look up to and find so beautiful and inspiring! Great interview! She sounds like a person who is really grounded and dedicated. I like the part about consistency. Doing something everyday to get stronger and better at it. Getting good at something doesn’t just happen over night. Exactly! I just recently switched up my normal routine and added in another day of a long practice of yoga. I can already feel how it is making me stronger and better!